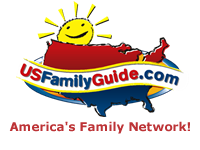 USFamilyGuide.com is the world's largest network of online family media. The network encompasses over 450 local family guides and 3,113 local mom bloggers reaching parents in your markets through all online and social media platforms. In the last 30 days 3,881,958 parents visited their local family guide. Share a Special Offer With this Audience Today! More than an ad buy - USFamilyGuide.com is an integral part of your online marketing and social media strategy. Directory Based: Your business is featured in all the categories and markets you operate providing parents multiple "doorways" to your web site. Increase your SEO with multiple backlinks, enjoy direct leads from parents, links to events, reviews, coupons, map it and more! Custom Blog Promotions: We customize a traffic driving promotion with our team of bloggers in your markets. Instantly have your promotion shared with thousands or even millions! Dynamic Features: Instantly share/update/modify special offers, upcoming events, your own reviews/press releases and photos with parents and bloggers at any time! Complete Program Tracking: We provide detailed reports on impressions, clickthroughs, social media reach, coupon downloads, even phone number views! "I have used US Family Guide for several years as an advertising tool to reach families and encourage them to visit the Georgia Renaissance Festival. Since we started using US Family Guide the attendance has increased dramatically and the social media engagement has increased exponentially. I give US Family Guide a lot of the credit for providing the platform to reach my target customers (Families) through testimonials and features written by their network of bloggers. It has been such a pleasure to work with everyone associated with US Family Guide." "Your partnership with the LEGO KidsFest over the years has greatly improved the event and the visitor experience. Thank you for all that you do!" "We have advertised on US Family Guide for over 5 years now and can't say enough good things about our experience. This is our highest converting placement of all the print and digital advertising we do - and we love the customer service. The various options - from email blasts to listings and blogger outreach - covers everything we need and specifically targets our key audience. It pays for itself multifold - we plan on advertising here for years to come!" "The success of the ColoradoKids.com program was outstanding with over 1,600 coupons redeemed which became my number one marketing piece for the season." Start Getting Your Own Results and Set Up Your Campaign in 5 Minutes!